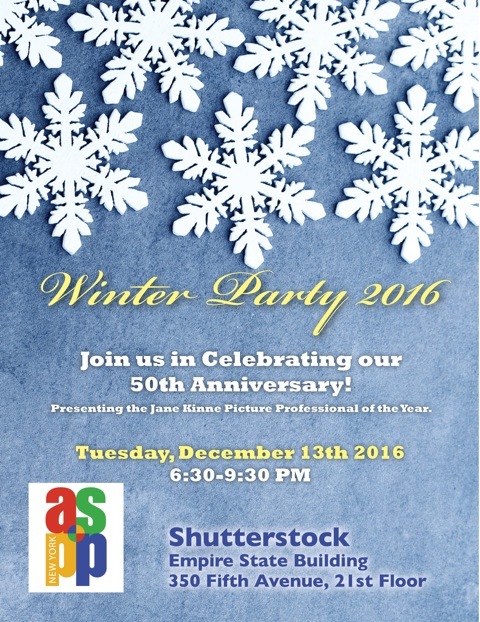 Celebrate the Holidays with ASPP NY Chapter Members and Friends at our Annual Winter Party! * Advance registration and picture ID will be required to attend. Registration closes Dec. 10, at noon EST. * Security at the Empire State Building is tight. People who are not on the guest list will be turned away. Please be sure to RSVP if you plan to attend.